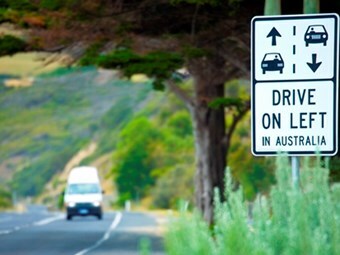 A recent influx of ‘inexperienced’ drivers on Victoria’s Great Ocean Road is a ‘recipe for disaster’, according AAT Kings Melbourne Day Tours General Manager Don Angus. Speaking on a panel of experts at this year’s BusVic Maintenance Conference and Bus Expo, Angus says an increase in the number of interstate operators on the Great Ocean Road is a serious safety concern. "We are facing driver fatigue, mismanagement, and inexperienced drivers with no concept of time or distance taking passengers there," Angus says. Angus says the safety concerns are compounded by a lack of authority and enforcement on the popular stretch of road. "Of recent concern at Apollo Bay we had an unlicensed driver of a coach that was taking passengers down the Great Ocean Road," Angus says. "And then of course you go into other issues where we have this influx of minibus operators down there with no maintenance programs – all us major operators have to pay licence fees and have our vehicles tested." But Transport Safety Victoria Modal Director Stephen Turner, also on the session's panel, says tour bus operators of 13-plus seat buses actually had a higher failure rate at inspections than smaller buses. "There are 241 accredited bus operators who do only tour and charter, they operate 792 buses in Victoria – so that’s 13-plus seat buses," Turner says. "Unfortunately, in the last 12 months we have had a 45 percent failure rate of those buses at their annual safety inspection. "With the commercial minibus operators, the 10 to 12 seat bus operators, who aren’t accredited but have safety duties – there are 202 of those operating 338 buses – they only had a 20 percent failure rate in the past 12 months. "So their failure rate is much lower than the larger buses." But Shadow Parliamentary Secretary for Public Transport Natalie Hutchins says it is obvious that majority of the industry still wanted more enforcement. "I think I’ve heard the message loud and clear, that it is not just about safety, but it is about a level playing field for the industry, and the only way to get a level playing field is not with legislation alone, but with enforcement," Hutchins says. But Hutchins says she is doubtful the state government will be able to fund increased enforcement. "I am sceptical that compliance will pick up over the next three years because the current state government has just axed 3600 public sector jobs," she says. "And many of those jobs will come from the departments that work on compliance." "Across a state out size and if you have an influx of small operators with 12-seaters with no accreditation, compounding Asian tourism coming in to the state, the situation may actually get worse unless the government listens to your voices. "Certainly I will be raising your concerns in State Parliament."